First of all, if you haven't taken a ride yet make sure you use the coupon "RIDE827" to get $20 off your first ride!! Enter it right before you request a ride. Go to the Payments tab in the app and enter the coupon there. Might as well try it out since it probably won't cost you a thing!! The app is simple, easy to use and intuitive by design, giving you important info like the driver's face, phone number, and car make and model. It's amazing how quick and seamless the entire process is. A car comes to your door within minutes of pressing a button!!! The drivers are real people, they are very polite and their cars are clean! Some even come with complimentary water, gum and candy! Even if you want to charge your phone, a lot of drivers have phone chargers at your ready!! 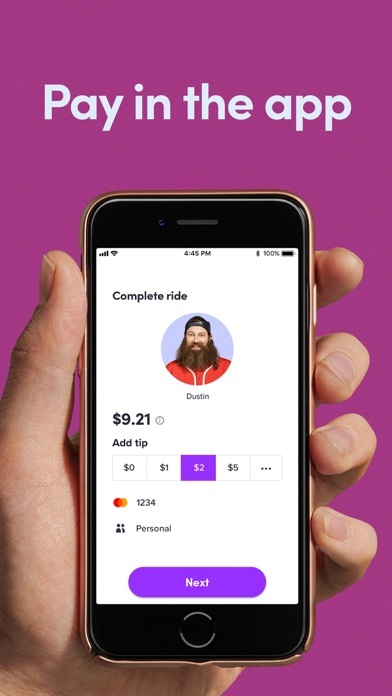 Lyft is definitely cheaper than your average cab. After all this, I don't see why you would ever use a yellow cab again. Even if you want to get a black car on the occasional night out, it's still cheaper and more convenient than hiring your own private driver. The customer support is also fantastic. I got overcharged on one of my trips and I didn't have to say anything more than a short comment on my driver feedback to get a full refund. I'm very happy and I hope Lyft continues to exceed my expectations in not only the app but customer service! 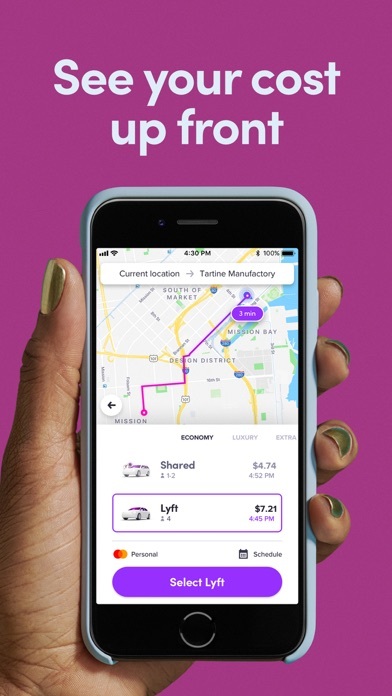 I also prefer Lyft much more than other competitors, mainly because they have so much more supply and cars are always just a few minutes away!!!! Lyft is over rated I spend 100's of Dollars with them monthly, for cars with McDonald's all over the back seat and poor compensation. 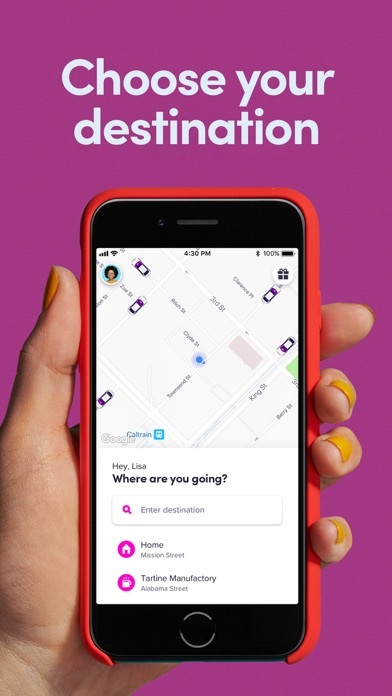 This Easter Sunday no cabs were available for 45- 1 hour so got a Lyft, it pinged letting us know he was at our home but he was no where to be found. We were down to have him speed by three mins early from down the street no where close to our location. I tried calling since he was leaving early and was at the completely wrong house for him to refuse to pick up. My boyfriend was a hour late into work and written up and I lost my intire shift and holiday bonus. When I contacted asking to be compensated I expected ten percent off all rides for may or equal compensation for our loss for me to be issued a five dollar credit which wasn't even half the cost of the ride. When I emailed them back telling them how underwhelming that was I was blatently ignored. No longer a customer and wouldn't recommend them. I have always used Uber, however my dear friend said Lyft is her top pick because they treat/pay drivers better. I love hearing this so I downloaded the app. I was taking a early flight, we could schedule in advance and pick my airlines ( knew which terminals we needed dropped off). AMAZING!!! thank you! A great way to get around! Customer service is a joke for starters... I spent so much money with lyft and it was convenient for my son to pick his sister up from after school... here comes the harassment about my sons age (17) and never had any issues till recently some of the drivers would question his age and refused to transport him!! One stated he was under the age of 17, then weeks later another stated hes under the age of 18!! To call customer service and ask and complain of the professionalism and guidelines, the lady kept telling me he’s considered 17 and under!!! Never had any issues and or complaints until all of this!!! I’ve closed my account!! 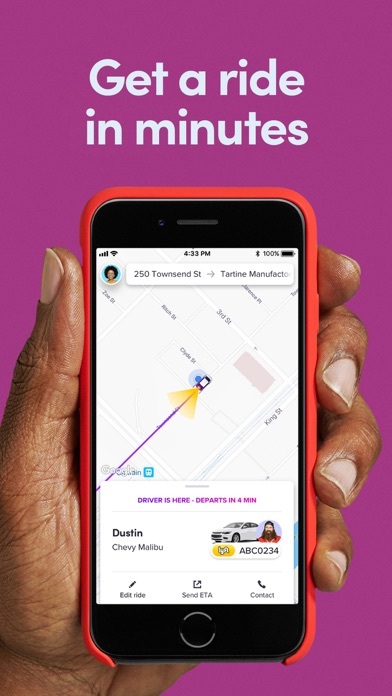 Lyft is getting easier and faster in Services. The pickup time is reduced to very less and right pricing. If you’re gonna give those times, have them reflect what those times indicate.